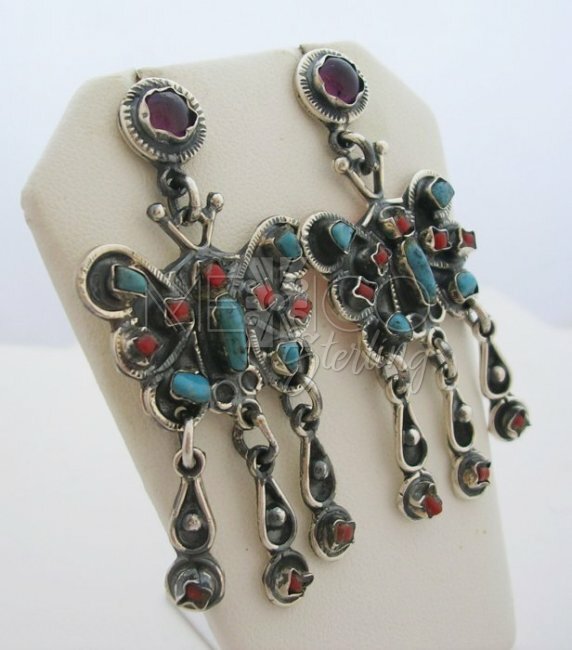 MATL-Matilde Style Multi Gemstone Butterfly Earrings [EAR2514] - $85.00 : Mexico Sterling Silver Jewelry, Proundly from Mexico to the world. 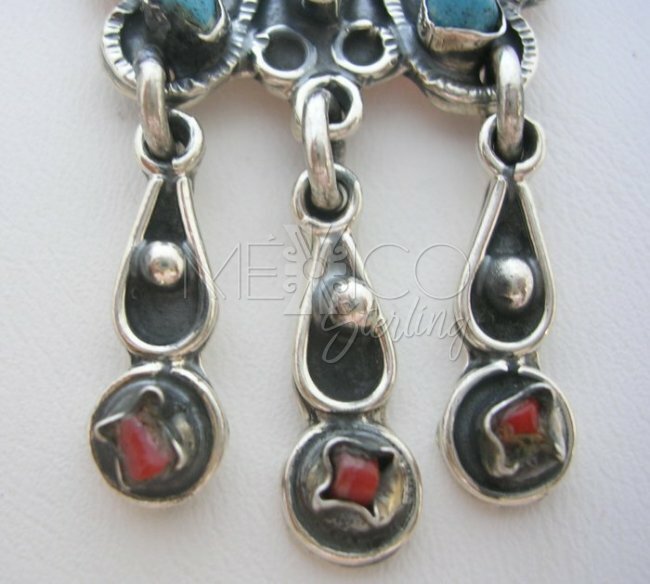 Gorgeous Silver and multi-gemstone pierced earrings. 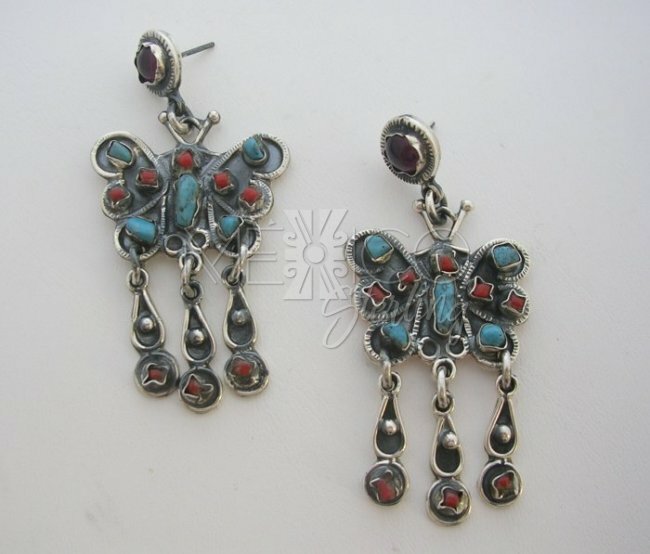 These are wonderful ? 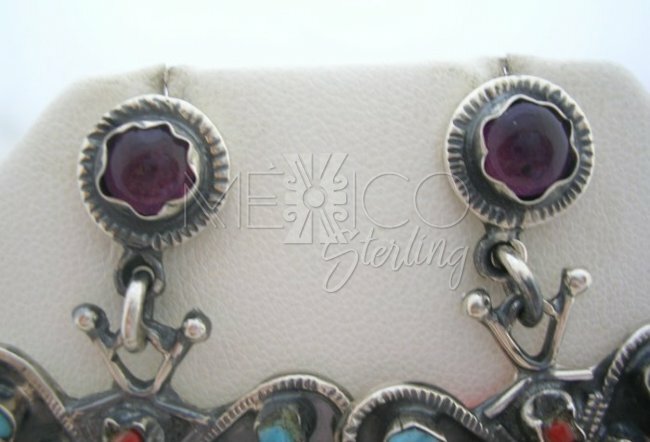 collectible jewels, that carry a very well known colonial Mexican look. 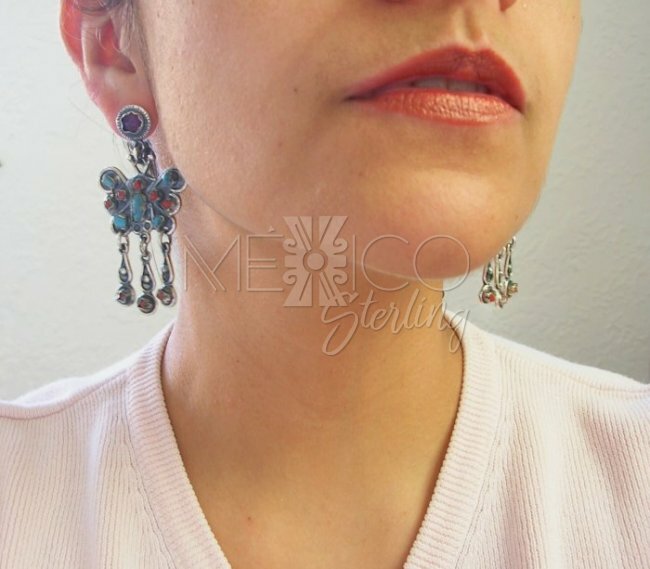 The design on these earrings are inspired by the works of "MALT- Matilde Poulat", they are a nice combination of organic elements that when put together make amazing pieces of jewelry. 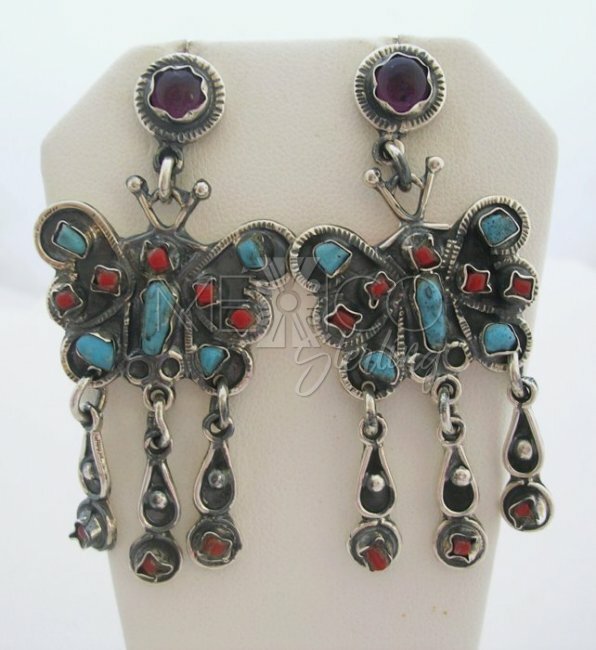 These handmade, silver butterfly earrings carry a couple Amethyst, turquoise and red coral cabochons, that give life to the drawn, carved creases on the metal. 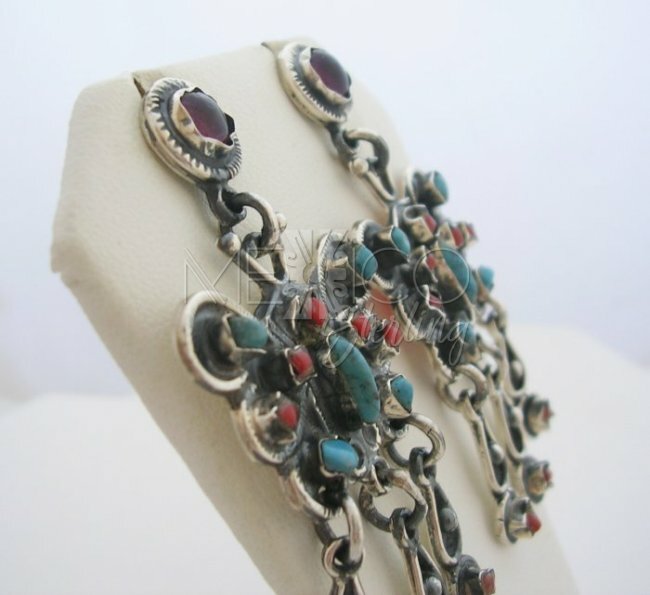 I also would like to point out that they are crafted with a rustic finish, kind of an ancient style.